There’s always room in the budget for coffee! 1. Stay in Salerno: Located one town away from the official Amalfi Coast, Salerno has all the amenities and accessibility of a major city. By train, it’s directly linked to Rome (just under 3 hours), Naples (under 1 hour), and Pompeii (about 45 minutes). It’s a great place to catch a ferry or hop on a bus to easily reach the Amalfi towns. It also boasts some incredible food, great local beaches, and an awesome seaside promenade. And it’s much more affordable than any town on the Amalfi coast! You can easily find accommodation for under 50 euros a night. 2. Eat Local Food: Campania is the home to some of Italy’s most famous culinary creations. This is the birthplace of pizza (as cheap as 3 euros), of course, but it’s also where you want to try the creamy mozzarella di bufala (made from the milk of local buffalo); a tagliere plate filled with local meats, cheeses, and veggies (get a decent size plate for two for 10-15 euros); stuffed or sautéed zucchini flowers; a refreshing lemon granita; and Big & Small’s favorite pastry, the inimitable sfogliatella (just 1 euro)! 3. 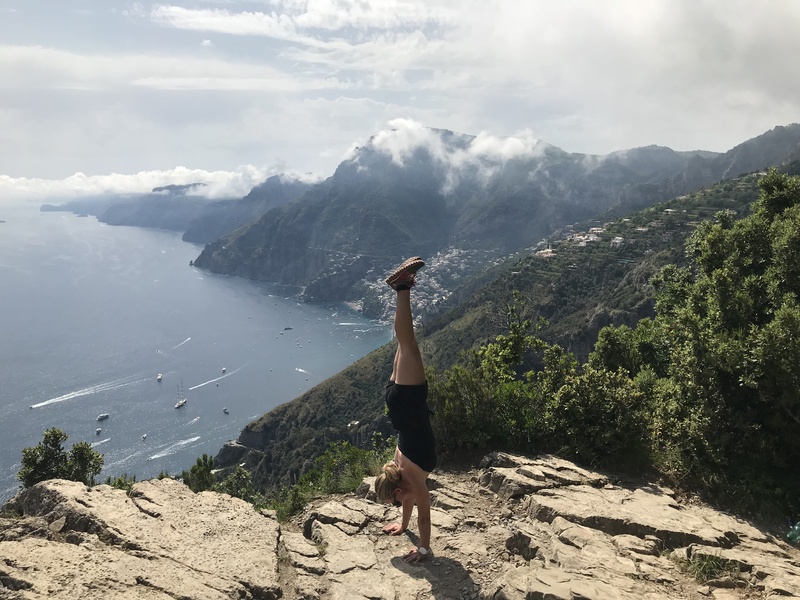 Take the Bus to the Path of the Gods: Be sure to put a hike along the Amalfi Coast’s Path of the Gods (Il Sentiero degli Dei) on your bucket list. This 7.8-kilometer path snakes along the cliffs, high above the sea, and it’s downright spectacular the entire way. Best of all, it’s free! You just need to pay the SITA bus fare, first from Salerno to Amalfi, then from Amalfi to Bomerano (around 2.50 euros each). At the end of the hike, we recommend taking the 1,500 steps or so down to Positano. 4. 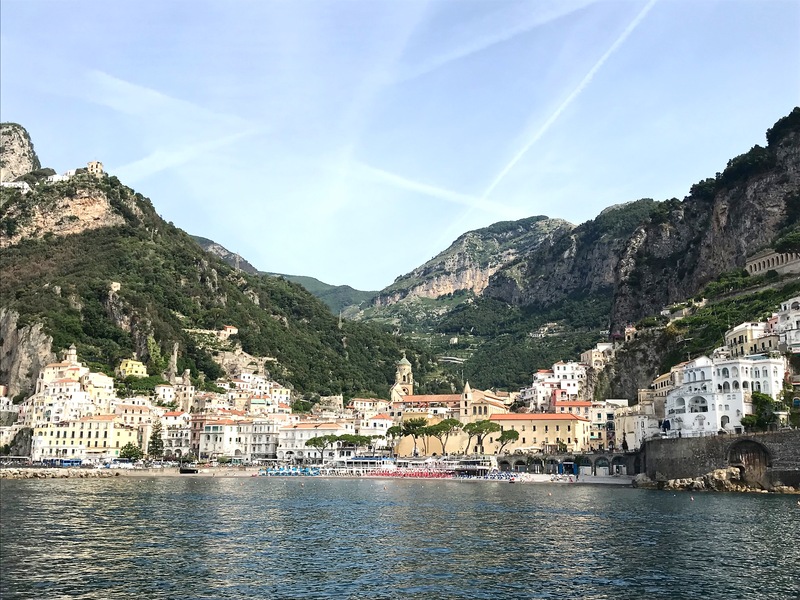 Catch a Ferry to Amalfi Towns Like Positano: Speaking of Positano, this is the Amalfi Coast town you’ll definitely want to see. 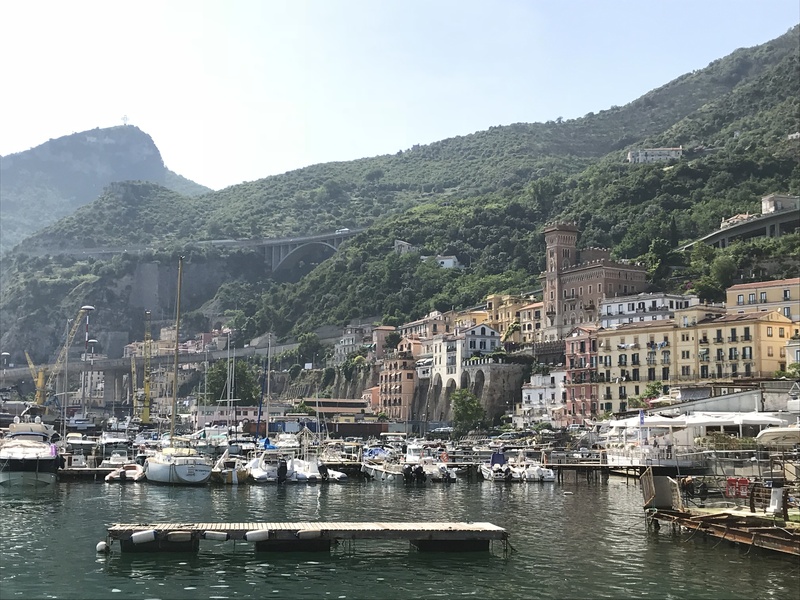 From Salerno, you can catch a 70-minute ferry to Positano for 12 euros, or a shorter 35-minute one to the town of Amalfi for 8 euros. You can also connect to smaller towns like Maiori and Minori. Whatever your destination, getting to the coast via ferry is an absolute must—you’ll see why in our video! 5. 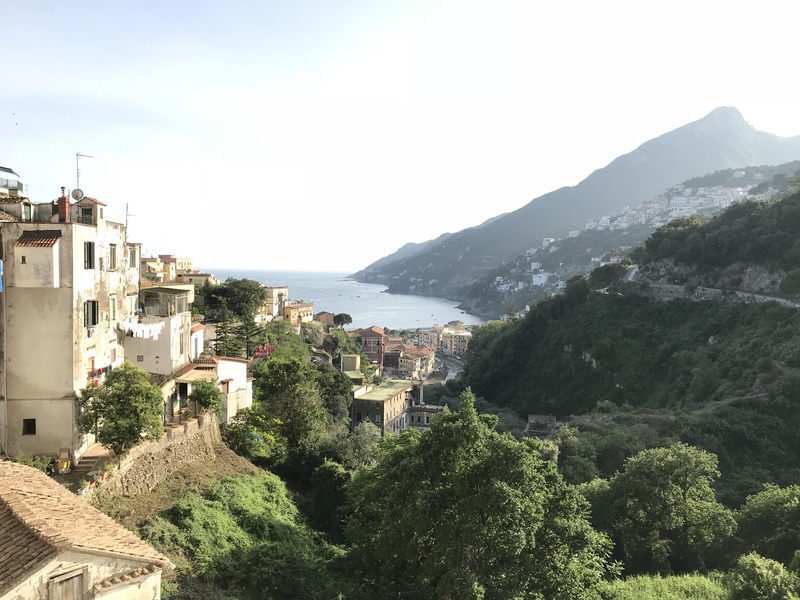 Walk from Salerno to the Amalfi Coast: Forget public transportation, because you can even get to the Amalfi Coast by foot from Salerno for free, of course. Walk along the seaside, all the way to the “gateway to the Amalfi Coast,” the small town of Vietri sul Mare, known for its ceramics. It’s about 4 miles from the center of Salerno. If that’s enough walking for you, you can take the train back to Salerno. 6. Hop on a Train to Visit Pompeii: Salerno is also located on the train line that will get you directly to Pompeii in 45 minutes for about 3 euros. 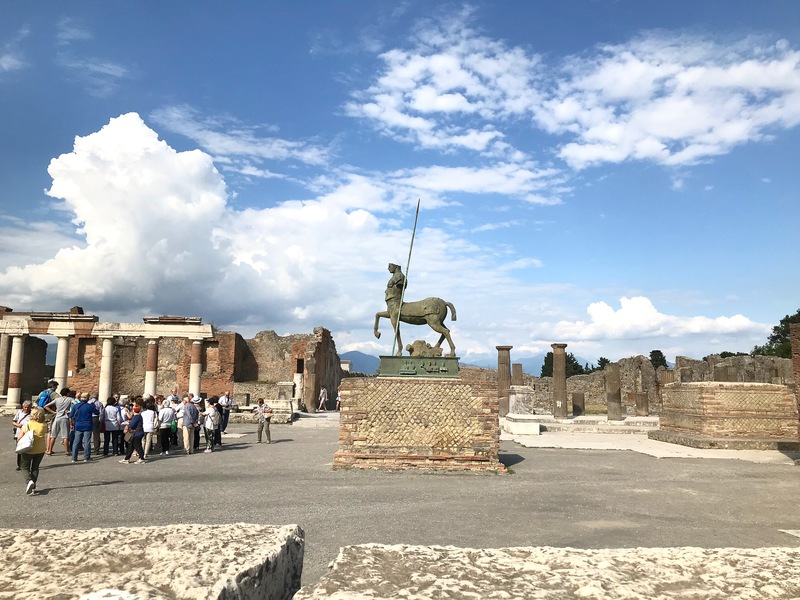 Of course, the tickets to get into the historical site of Pompeii itself are slightly pricey (at 15 euros), but this is definitely one of those bucket-list places you really should see. This once booming Roman city was buried under ash after the eruption of nearby Mount Vesuvius in 79 A.D. It’s been astonishingly preserved—walk through luxurious villas of the wealthy, a bread-making shop, the most popular brothel, and even the oldest surviving Roman amphitheater. We recommend spending a little more to get an audio guide, too (it’s 8 euros for one, 6.50 euros each for more than one – you can also share one to save a little). 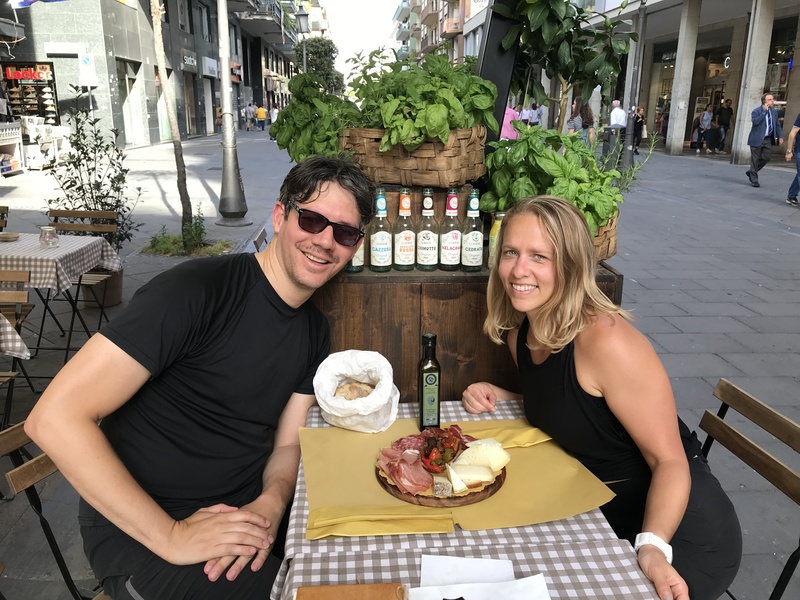 Be sure to check out our video to see more of what to do, see and eat in Salerno and the Amalfi Coast! 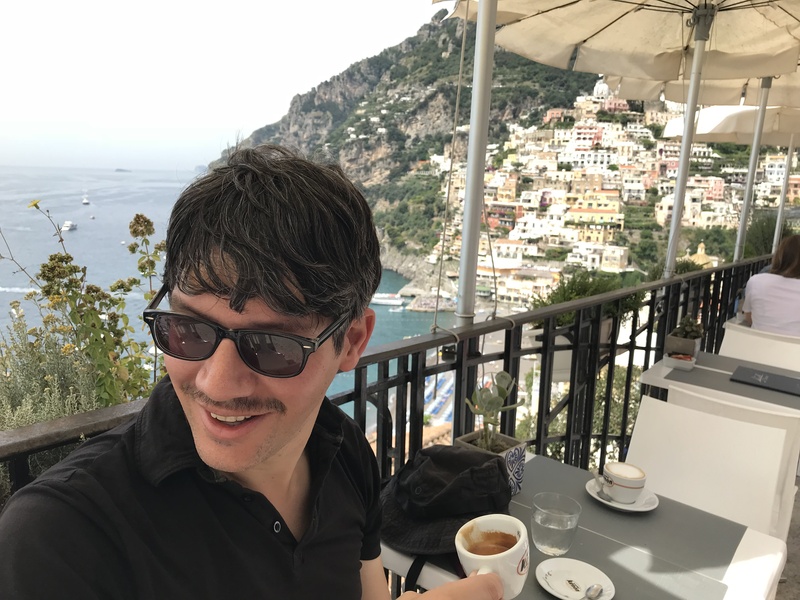 Can I catch a train from selerno to fumicino airport rome? Yes! But you’ll have to transfer at either Roma Termini or Roma Tiburtina.